Job Transition: A Military To Non-Defense Switch Is Tough! On the other hand, she discovered that companies wanted to pay her less because she “already has an “income.” It is a real problem for most retiring senior officers. 1. Figure out your value-add proposition before you enter search. A good value-add proposition means that you can contribute to top or bottom line or both. Your role in all of this is to show or demonstrate your ability to make a contribution to a company. 2. Develop a good brand that presents you as a problem solver AND backs that presentation up with numbers. They are not hiring you because you look good in uniform. They are hiring you because they believe you can move mountains for them and help them make money. 3. Develop a good marketing plan. Consider this. You are a product. All products, at least those that are successful, enter the market with a plan. What is your plan? What are the good components of a plan. What works and what doesn’t? This is the subject of a number of books and pieces that have been explored for decades, in one form or another, by many authors. The object lesson here is to start reading and exploring what constitutes a marketing plan and then develop one for yourself. BTW, it must be adjusted regularly. Just writing something on paper and then letting it mold, doesn’t cut it either. Be proactive! Here’s another review from one of our attendees at our CTAP in June. Thanks for the feedback!! Team player and team leadership are two characteristics associated with those who have had a decorated and accomplished military career. Possessing Team Player and/or Team Leadership skills are strong behavioral competencies that are actually huge and quite significant when listed on your resume or discussed in the interview. This is in regards, however, to how it applies to you as an executive or management professional. People often list or discuss Team Player/Leader as one of their competencies or skills without really understanding the significance of this skill, and what it implies or how it pertains to them. For instance, if in an interview, the employer or manager asks you what makes you a good Team Player or Leader, what are you going to be prepared to say in response in order to present yourself in a positive light? You need to be prepared for this question or discussion and be ready to demonstrate through past success stories and strong dialogue how it applies to you as a manager or an executive. You will then need to be able to identify, draw upon and discuss specific behavioral characteristics and skills you possess and have utilized in the past in order to generate successful results. The ability to communicate well with others through interpersonal savvy. Proven success setting, implementing and achieving group goals. Providing assistance and guidance as a strong leader. Building strong relationships and a solid rapport with colleagues and employees. Effectively training, coaching and mentoring others for success. The ability to provide professional and highly effective feedback. Addressing and handling issues, conflicts and so on. To come up with a successful response in the interview regarding how you have achieved success in the capacity of Team Player/Leadership, the first thing for you to focus on is remembering strong success stories from the past. Goals that were attained as part of a team or while leading or managing a team of professionals in the completion of a specific assignment. Describe how you cooperated with and managed a team in accomplishing excellence and achieving a particular goal, what actions you came up with and took, what goals you set, and how you cooperated with a group of colleagues, soldiers and/or employees to get this done. What was the goal of the assignment? How was this goal achieved through the efforts and accomplishments of a team? Perhaps you are talented at promoting communication and participation among a group of team workers and have been successful at guiding, motivating and assisting with various group assignments in order to get the job done successfully. Here are some example responses. Not only do I achieve excellence through exceptional training and management, but I go above and beyond training and managing by fostering strong relationships, encouraging team support, offering strong feedback, maintaining respect and genuine compassion while successfully overseeing the duties and functions of the team. As a result, I have contributed to the growth of a squad, company or department by improving staff performance, establishing effective relationships, reducing hazards, and getting more work accomplished in a shorter period of time, saving money, improving customer relations and satisfaction, while improving company operations. So, as long as you can draw upon and utilize a past success story in regards to your efforts in Team Player and Team Leadership and then explain how you achieved this through certain, beneficial behavioral characteristics and skills, you should do very well in the interview and in defining how you make teamwork really work! Just practice, practice, practice! Good luck! Here’s another wonderful, anonymous review from our seminar. We so appreciate the feedback of all of our members at CTAP. Here’s another great review from CTAP by Dave Graak. Thanks Dave!! Here’s a wonderful review from Michael Lindemann. He attended one of our recent seminars as part of CTAP. The Chiefs Executive Transition Assistance Program. This letter is written by Rear Admiral Hal Pittman, U.S. Navy (retired) and his wife, Ms. Rebecca Feaster, to their younger selves – five years prior to Hal’s military retirement – with advice on how to prepare for the future. First off, congratulations on how far you’ve come. You’ve worked long hours, taken hard jobs, deployed overseas into the combat zones, and been rewarded for your extra effort with promotions, medals, and industry recognition from the commercial sector. You’ve also earned the ultimate military reward for a job well done — greater responsibility and longer hours in more complex and difficult leadership roles. You’re feeling good about your future opportunities, thinking you’ve done everything right to prepare for the day you retire from active duty service, right? So sit down, because what I am about to tell you may hurt. In a few years, you will receive a hard dose of reality. It’s a tough world out there, Shipmate, and people aren’t just going to be standing by to hire you based on your military credentials… while the military is a meritocracy, just like the civilian sector, the difference is – most civilian employers have no idea the complexity of things you’ve accomplished, the skills you bring to the table, or, most importantly, how your abilities may help their business. How is that possible, you ask? Even if your fitness reports break you out as number 1 of 65 junior executives (O3s) in a business unit (command) of 3000 people, how does that help a hiring officer determine whether you have the skills to sell his product? Some hiring officers are looking specifically for a square peg to place in a square hole, and they won’t understand the level of responsibility you’ve had in uniform because they have no context; they didn’t serve, don’t know anyone who did, and their only opinions about military people have been influenced by the entertainment industry, which hasn’t done you any favors (Think “Gomer Pyle,” and “Full Metal Jacket,” as opposed to “The Hunt For Red October” or “Zero Dark Thirty.” They may be skeptical about you and your abilities to fit in “the real world,” and they don’t know how you can help their business. Perhaps that hiring officer had a negative experience with a colleague or a hire who at some point had served in the military. Hard to fathom? Think about how many people leave the service each year because of poor performance, behavioral issues, or because they couldn’t adjust to military life… Where do you think they end up? They apply for civilian jobs in those same cities and with those same companies where you’ll be looking, and your potential employers’ ideas will be shaped by interactions with them. One of the most challenging issues you will face during your transition (while interviewing and comparing opportunities) will be understanding organization culture. What is the culture of the organization you are considering joining, and how will you fit with the cadre of employees who are already on the job? Organizational culture is the environment created through the shared values and behaviors of the employees and leadership within that organization. In the military, organizational culture is command climate — the tone set by the commanding officer. Key leaders reinforce this tone, and it permeates throughout the organization; it can change through the rapid succession of key leaders and the turnover of team members every few years. In the business world, organizational culture can be more persistent, with long standing leadership and less employee turnover. You’ve seen this in your military career – different organizations have a different feel; some might be collegial and team-focused, or collaborative and cross-functional, others competitive and intense, and still others mean-spirited or rigid, depending upon the mix of leadership styles within the organization. While you are in the interview process, you should conduct your own due diligence to learn as much about the culture of the organization you are considering joining to determine whether you will fit with their culture, and whether you actually want to work there. This is tougher than it sounds, because most people within the organization probably won’t be willing to share that organization’s dirty laundry with an outsider/jobseeker. Asking questions during the interview process about organizational culture may be helpful, but you should also do your own research on the web and through contacts you may have inside the company. Ask what happened to the last person in the job you are applying for, and whether you can talk with them. For a moment, put yourself in their shoes and think about whether you’d want to add an outsider to your team who you weren’t certain would fit in. In some instances, hiring officers will be looking for specific industry experience, (which you as a military officer probably won’t have) and they may not believe you have the flexibility to fulfill that role in their organization. Others may be suspicious of the fact you changed jobs every 18 to 24 months or less while wearing the uniform, not realizing that the military develops leaders by moving officers into completely new assignments fairly quickly to learn different aspects of “the business” in one of the world’s largest, most complex and successful organizations. 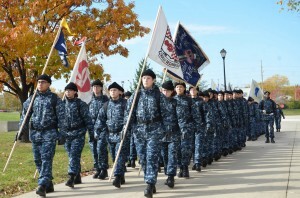 Some may have a mistaken idea of military culture, where one “gives orders.” You may find yourself explaining over and over that military culture is a meritocracy, and with the all-volunteer service, it is similar to a corporation in that people can leave if they don’t like the way they are being treated; that you, as a senior military officer, have had to be a collaborative, inspirational leader in the same way as any leader in any business environment. If you decide you want to lead in the world of non-profits (and I recommend you try this), how will you translate your ability to adjust to very different types of organizational cultures? How will you motivate team members who have been doing the same jobs for years? Can you adjust your speed of approach to ensure team unity and motivate employees? Do you have the skills to collaboratively interact with more women than men in the work environment? Are you ready to show co-workers and bosses that you can fit in and make an impact? Is it a mission you feel passionate about? Employee/Board Member perceptions of who you are and what you stand for may present challenges you’ll need to address. By and large, understanding organizational culture and finding the right cultural fit for you is going to be daunting, but you are up for a challenge – right? As a military spouse, you’ve had to take on challenges by yourself that most spouses would never attempt. You’ve supported your partner through some challenging assignments, and some demanding military moves, and you probably don’t feel particularly appreciated by the military. The truth is, you may never feel appreciated as that military spouse; your dedication to the necessity of the military mission, your community and to other military families and spouses is noteworthy, and something you will always carry with you – the caregiver mentality – but that alone won’t help you help your spouse through this transition. Rather, focused preparation, planning, understanding what lies ahead, and strategic patience will all be key to making this transition work as smoothly as possible. 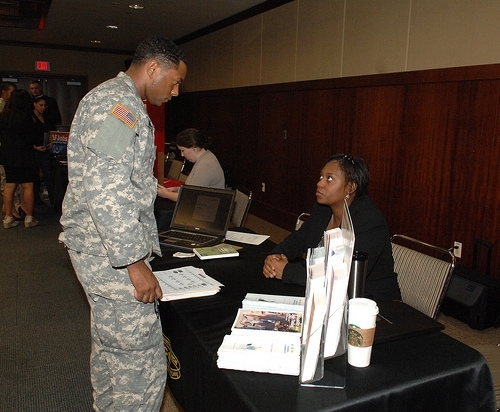 First off, you will need to prepare for the job search, just as your military spouse will. Control your stress levels. Get yourself to the gym, eat properly and put yourself in a transition mindset so you can be thinking about what comes next. Don’t dwell on issues or perceived shortfalls in the process – let them go and keep moving. Understand that this is going to be an emotionally challenging time, and you will need to find your own ways to de-stress. As a couple, you and your spouse need to make some big decisions. A key one will be whether you focus on staying put in the community you’re living in now, focus on another community elsewhere for specific reasons, or remain open in the relocation process, based on opportunities that are available on the job front. More succinctly, will you focus on job or location? 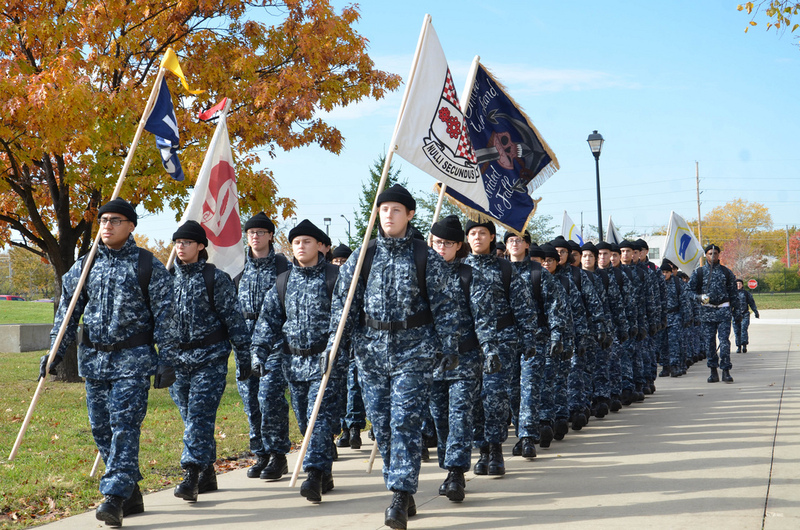 Perhaps you feel compelled to stay right where you are; military families do it all the time, fueled by the opportunity to put down roots in one community and one school system with familiar base facilities nearby for support. If this is the plan, you need to be networking just as much as your spouse to help them locate that next job opportunity. You also need to discuss with your spouse what they are willing to do for work, as the perfect job may not be available in that community. Your spouse may be targeting a government civilian or a contracted opportunity supporting the military, and if that satisfies your employment needs, then congratulations! If your intent is to move to a targeted geographic location after retirement (you have retirement property or a previous home there, plan to help care for aging parents, it’s where you grew up, etc. ), then you will need to understand the employment situation in that location and what it will cost you to live comfortably. All of the same considerations for retiring in the geographic location of your last duty assignment apply; how do you help your spouse network to find that opportunity that will make them happy? What is the employment outlook – for your spouse, or both of you if you plan to work? So what’s the third option? Go where the job is. I’m going to say that again, and tap my foot here for emphasis – Go where the job is. Dynamic leaders have been doing this for ages; your father did this, and that’s why you grew up in New England. Knowing both you and your spouse, this may be the only option acceptable to you both – finding that great job opportunity in a location where you both want to live, and where you can get the best educational opportunity for the kids. Think of this as being just another military move – albeit, one where your spouse is not just changing jobs, but also changing careers. Indeed, this is the same thing you have done as a family for more than 20 years – the only difference now is there is a wide array of opportunities in new industries. This is an exciting proposition, but you may have to be willing to compromise a bit to get the right mix of desirables. Here you will need to research schools, communities, and everything else that is important to you. For example, are you willing to live in the Northeast and deal with a commute and New England winters for a high-paying corporate position? Or how about living in the Midwest in a place where neither of you has ties in order to take a senior leadership role that may make your spouse a more viable candidate for other opportunities? Will your children have the same academic and extra-curricular activities in Nebraska that they will have in Florida or Arizona or Southern California? What about environmental issues like crime, air quality, traffic, and access to an international airport that allows you to get home quickly to aging parents? These quality of life considerations are bigger than you might realize, and all of them come into play as we think about the choices inherent in transition from the military to the civilian sector. Prepare. With five to six years until retirement, you must learn as much as you can about business. Read non-fiction autobiographies and business publications, and attended executive education programs and additional military training schools if offered; now is the time to think about what you’ve learned in the context of putting it to work in a new industry. What about real world skills you bring to the table? Budgeting and executing within budget are important; experience in acquisition and supply chain management is transferrable. Working on a high-level staff hones skills of collaboration while crafting strategy and policy; your generals will be called to testify before Congress, so help them develop their messages, and learn Congressional and Interagency governmental affairs processes… These are skills you can bring to a potential employer. With bachelors and masters degrees behind you, the next five years should be spent “filling in” around the topics you didn’t study in school. Need some finance or accounting? Don’t be afraid to take a community college class to brush up. As you grow to understand the language of business, complement your knowledge by talking to family, friends and acquaintances about what they do in the business world, and ask detailed business questions. Attend the rotary and chamber of commerce, meet people, and learn. These efforts will be about relationship-building as well as education; an inquisitive mind may be your most valuable tool in the job hunt to come. Give some thorough consideration to what you want to do next — your time is valuable. What specific interests can you identify? Let me give you a hint here — you are mission-focused, and will be looking for a cause you can support. You may have the chance to be part of a non-profit board in the future, and this will enable you to stretch your expertise in strategy, policy and governance. This may also lead to other opportunities. Leadership is transferrable. How you’ve been taught to mentor, manage and develop people is second-to-none… corporate America will appreciate these skills, as long as you can properly articulate how you develop team members. Create a five-year plan for your transition. You are a strategic thinker, and wouldn’t consider beginning a year-long deployment overseas without a plan, so why would you consider transition to the next chapter of your life without careful consideration and planning? Sit down with your spouse and chart out your goals, expectations and desired outcomes… Make plans to reconnect with old acquaintances, expand your network with new business contacts, and learn to market yourself and your accomplishments in the language that business understands. All of your peers below Flag Officer rank – Lieutenant Colonels, Colonels, Commanders and Captains – have successes that, when properly explained within a leadership context, can be very attractive to the business world. You’ve actually run businesses, whether you realize it or not – units with multi-million dollar budgets, employing dozens, hundreds or even thousands of people. You’ve been a chief executive where you’ve had personal accountability for operations, budget, external affairs, and talent management… Learn to articulately discuss your hard-earned work skills, and how those experiences can benefit a potential employer. Listen, and take advice. This is a foot-stomper in the truest sense, so I am going to say it again, and pause for effect. You’ve made a full career off of providing your best military advice to others and making them successful; and while you’ve made it to a fairly senior level, you can always learn more from others. You need to continue to heed the type advice you’ve given others – learn from the most successful people around you. The learning we will do as adults is largely from observing and talking to others who have achieved what we hope to achieve. When leaders talk strategy, operations or execution, absorb all you can. Ask for their advice, and then follow it. Manage your reputation. It goes without saying that you must always, always, ALWAYS protect your personal reputation to the greatest degree possible; at the end of the day, all you have is your own good name. Everything on the internet is public, so you must work to shape your persona and mitigate anything that is potentially damaging. The “social network” sites like Facebook are fair game for potential employers, so don’t post something you’d feel uncomfortable talking about in a job interview. Few people are savvy enough to enhance their employability through social media. Photos of you with a drink in your hand, YouTube video of an embarrassing moment, political discussions on your page (regardless of how they lean), or even your commentary on popular culture issues, can be deal killers when it comes to the job search. Remember, employers are looking for both qualifiers and disqualifiers, so – if you can’t control and moderate what you or others post to your page, you are better off deleting that profile … otherwise, you run the risk of staying unemployed. Better yet – focus on professional sites like LinkedIn as your social media page of choice… You can be introduced to professionals in your field, read and share professional articles, connect with former military colleagues (some of whom have done quite well for themselves) and provide (and receive!) recommendations from those you have worked with. LinkedIn is a networking resource that can definitely be worth the time you invest in it! Now, more than ever, is the time to be a team player and partner to your spouse. Listen, be patient, take your time, and reassert your couple status. Transition from the military is every bit as stressful as a deployment, and you must be able to be a calming influence, rather than another source of anxiety and frustration. There will be tough days, and keeping a “stiff upper lip” may never be more difficult than during the job hunt. However, there are definitely things you can do to help take some pressure off your spouse, while assisting the family unit in this transition process. You should plan to attend the military’s Transition Assistance Program with your spouse – they can’t possibly absorb all the information in that program, and you will come at it from a different perspective. Another issue is healthcare… the options under TRICARE become more complex, so you need to thoroughly research the options to make it work for the family. A top consideration will be how much money you will need to set aside for the transitional period, and you need to be prepared for a long wait. It’s pretty much a given that your spouse isn’t going to take the uniform off on a Friday and go to work in a new suit-and-tie world on Monday – it doesn’t normally happen that way, except in the very unusual circumstances where a specialized military job is civilianized, and your spouse is lucky enough to compete for and win that position. More than likely, your spouse will take six months or more to find that right next opportunity. It’s going to be a long, challenging process, and it is going to require patience. There will be ups and downs and big disappointments. There will be instances where they do a half-dozen interviews, only to lose out at the end to another well-qualified candidate; interesting places where you would have liked to have lived that didn’t work out; and even job opportunities that you might have thought were a perfect match that really weren’t. You must be prepared to go longer than you might expect in the job transition mode, save more money than you think you need, and prepare yourself to deal with disappointments along the way. If your spouse is conducting a national job search for that big leadership opportunity, you may have to consider living somewhere you would normally never consider. There’s another side of the coin as well – strategic patience. Even when you become frustrated with the process, be willing to wait for the right opportunity, vs. the first opportunity. Your spouse is going to get offers that won’t work for them, you or your family – and you have to have the discipline to say no. How long will the hiring process take? Some jobs may take six months from first interview until your spouse starts work, and may involve a dozen different interviews via telephone, video teleconference, and in-person; hiring officers are taught to hire slowly and fire quickly. The right opportunity will come along, but it may take some time; the challenge will be staying focused on the search, and your spouse may sometimes be entertaining two or three potential opportunities in different stages of the interview process. If after 12 interviews with lots of positive feedback, your spouse still doesn’t get the job, steal your outward disappointment. They feel bad enough about it already. That is why you will need a good friend/therapist/pastor to vent on the side to during this process. During this time, try to stay focused on things that matter… Remember, we all have lives to live, relationships, family issues, and children to raise and mentor. We need to maintain our family and personal priorities when going through this transition, regardless of what’s happening with your spouse’s job situation. Don’t give up on your educational pursuits or your child’s academic or extracurricular activities because your spouse is between positions… Family continuity is important – and you are the key to keeping the family on an even keel! Good luck! Ok, so there you have it, our straight–shooting advice. The two of you have five years as a couple to get ready, and you shouldn’t waste a single minute of precious planning time. Your success outside the military is largely dependent upon your preparation for this next huge step. This is possibly one of the most frustrating missions you’ll ever endure, and the road will be filled with disappointments, surprises and stress. The key to success, as in all things you’ve done up until now — is ACTION. Move out and draw fire… stay focused, consistently work your contacts, and view every setback as a learning opportunity. It’s your time – make the best of it. Read Admiral Hal Pittman, U.S. Navy (retired), is as an executive with Arizona Public Service Corporation in Phoenix; he previously served as President & CEO of Special Olympics Iowa, and is on the Board of Directors of the U.S. Bobsled & Skeleton Federation (Colorado Springs, CO) and Amateur Athletic Union Strength Sports (Orlando, FL). His wife, Rebecca Feaster, is CEO of Feaster & Associates consulting, and is on the Board of Directors of Wider Opportunities for Women (Washington, DC). Earlier this year, I was asked by the United States Marine Corps to develop a training session on interviewing. This training was to be delivered to members of the Wounded Warrior Battalion Detachment located at 29 Palms, CA. Tuesday; I had the great honor of delivering that training to some very fine young men just back from Afghanistan. As we worked through the morning something hit me like a ton of bricks. I thought to myself, I live such a sheltered life in the civilian world. I face traffic and other “exaggerated dangers,” and was totally ignorant as to what the world of a Marine “member” (only in the Army are they called soldiers) is like while they are under fire. Working with these young Marines, I realized how much they had been through at such an early stage in their lives and the tremendous impact those experiences would have in their repatriation to the corporate world of work. They were so prepared for war and so unprepared to face the adjustment to corporate life. What I appreciated most from the entire day was the “can do” attitude exhibited by each young man who attend my sessions. What also became painfully clear to me was the overwhelming gap these young men, and the thousands just like them across all branches of the Armed Forces, have in trying to communicate their wartime and military experiences into practical, useful, everyday terms and being able to tell their stories in such a way as to demonstrate that they are a good fit at someone’s company. The gap I saw was as wide as the Grand Canyon. It isn’t their fault. It isn’t anyone’s fault. It just exists. My attitude is that when you are made aware of a problem you must address that problem and “adapt and overcome”, just like these young men did on the battlefield they had recently left. I heard stories of courage, determination, plain old crafty ingenuity, and desire to do their duty. How could I not do mine, when faced with such bravery. I changed my tactics altogether for the training, settled into a role playing mode and worked with each young marine to help them be able to translate their military experiences and effectively tell their “value” story. For some, this was a first time experience and had the appearance of being more frightening than the combatant fire they had been under just a month or so before. The unknown is frightening to anyone, whether military or civilian. What helps is a head-on attack and having plenty of ammunition to facing that challenge. We did that Tuesday morning and I swear that I felt that I got far more out of that experience from them than they did me. They didn’t feel that way however. They came up, one by one, after the sessions and shook my hand and said they really felt they had learned how to tell their story in such a way as to create value to the listener. Their written ratings of my presentation were my medals that day. I encourage all who read this to volunteer your time and your resources to support these fine men and women who sacrifice a part of themselves, unselfishly and unreservedly for their country. To do less would be a great injustice. They need your help and it is so easy and rewarding to give of yourself, your time and your knowledge for this worthy cause.